The interior of the home is equally impressive with its stylish, updated interior, quality craftsmanship, and stunning vistas. MLS#21629586. F.C. Tucker Company. Williams Ridge Estates - MLS#21625979. Resource Commercial R.E..
Great amenities including community pool, park, & walking trails! MLS#21629941. Redfin Corporation. Large fenced-in backyard with brick patio and additional shed for storage. MLS#21629461. Carpenter, REALTORS®. Brookshire North - Relax and enjoy the backyard view of the beautiful mature trees from your large deck. MLS#21630690. Highgarden Real Estate. Waterwood Of Carmel - Walk Across The Street To The Monon Center. Come Quick! MLS#21630969. ERA Real Estate Links. Village Park Estates - Fiber optic internet wired to house. MLS#21629446. F.C. Tucker Company. Townhomes At Hazel Dell - Don't dawdle; these upgrades at this price will move quick! MLS#21630376. F.C. Tucker Company. Moffitt Farm - Community amenities include pool, playground & tennis. MLS#21628617. Keller Williams Indy Metro NE. 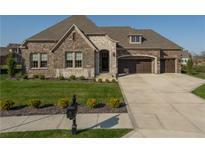 Shelbourne Estates - Located minutes from award winning Carmel schools & easy access to shopping & interstate. MLS#21627927. Viewpoint Realty Group, LLC. Spring Farms - In warmer months watch the sunrise or keep cool on extended sunlit evenings on the patio overlooking the beauty of the pond. Lots of storage MLS#21626270. Keller Williams Indpls Metro N.
This home is priced well under market value to reflect the need for major updating. Sold AS-IS. MLS#21630934. RE/MAX Elite Properties. Move in before the pears ripen! MLS#21630098. Carpenter, REALTORS®. The shaded back yard, screen porch and patio provide perfect outdoor space for warm days ahead. MLS#21629225. 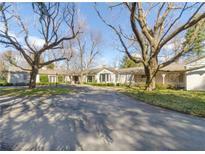 Berkshire Hathaway Home. This home offers new espresso hardwood floors and floor to ceiling 2 story Dining Room. You’re steps away from a 2-mile walking path and connected to an HOA with multiple pools, tennis courts, and playground. MLS#21630415. Berkshire Hathaway Home. All This W/ A Lot To Die For W/ Plush Landscaping, Screened Porch, Deck, Mature Trees & Private Pond View. MLS#21629895. Keller Williams Indy Metro NE. Wexley Chase - Gourmet custom kitchen w/ center island, new stainless steel appliances that includes refrigerator, double ovens, microwave, dishwasher and large eat in area.Main floor office/den adjacent cozy sunroom & formal dining room make for easy living .Master suite with sitting area & large bath featuring walk in shower, soaking tub, double vanities, two walk in closet and much more.Huge full basement w/ full bath and wet bar rough ins has endless possibilities.A must see! MLS#21630355. The Fox Group Real Estate. New invisible fencing, irrigation system, newer hot water heater, newer dual zone HVAC. MLS#21630871. Broker Direct Realty, LLC. 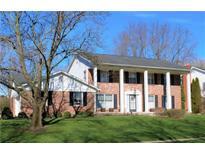 Ashmore Trace - This property is located in a sought after neighborhood, and in Carmel school district. MLS#21630562. F.C. Tucker/Crossroads Real Es. Large Bedrooms, Living Room And Dining Room. MLS#21630337. F.C. Tucker Company. Brookshire North - Treed and fenced backyard complete this cul-de-sac located home. MLS#21630417. F.C. Tucker Company. 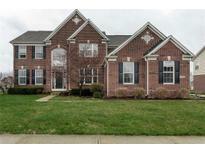 Cass Estates - Don't miss to check this Immaculate home. This house has it all. MLS#21628803. F.C. Tucker Company.